The AFL trading rules of today are mostly consistent with the basic trade rules set out for the first VFL trade period in 1988. That is, clubs can trade players and draft picks in the national draft of the same year between one another. After 27 years, however, the league is now ready to add another dimension to its trade period. It will allow clubs to trade national draft picks not only for the draft in the same year, but for future drafts too. In an era where every club has full-time list management and recruitment staff and the trade howlers of yesteryear are no longer commonplace, it is the logical next step in the evolution of our game. 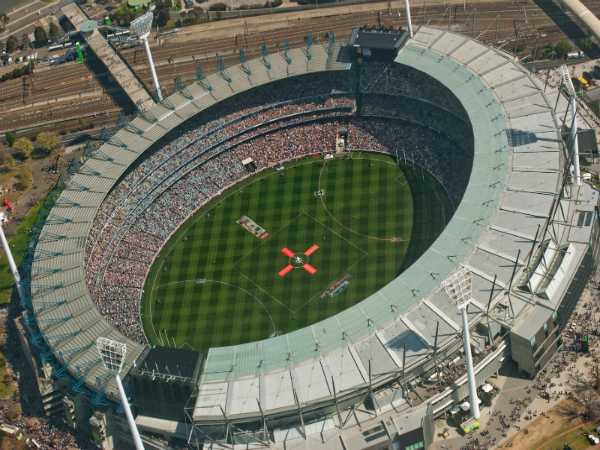 It’s an idea that is gaining momentum within AFL circles. In April this year, recruiters Kinnear Beatson of Sydney and Scott Clayton of Gold Coast told the Herald Sun that they believe it will soon be implemented. Allowing clubs to trade future picks would widen the range of possibilities during the official trade period which, in its current form, is ten days of speculation and hypotheticals where nothing really happens until the final day. The ability to trade future picks would give clubs increased flexibility and more to work with in the way of bargaining chips, allowing for more deals in the trade period. Richmond Football Club’s General Manager of Football, Dan Richardson, agrees the move could be valuable. The system would, of course, require restrictions to ensure a team does not give up too much in order to chase a premiership and mortgage its future, only to fall short of the flag and be hamstrung for years to come. The AFL would no doubt err on the side of caution in introducing new trading rules and would likely employ similar restrictions on the trading of future draft picks to the NBA, NHL and NFL. Restrictions such as not allowing a team to trade away its own first round draft pick in consecutive seasons, as seen in the NBA, so that every team has at least one first round pick every second year will be necessary. A rule enforcing that every team make at least two picks in the first four rounds of the draft every year will also be necessary to ensure every club is still bringing in kids every year. How many years in advance draft picks can be traded will also need to be regulated. The NFL allows the trading of draft picks four years in advance but the AFL is likely to introduce a maximum of two years in advance to begin with. Pick protection should also be strongly considered to provide security for teams that take part. Under the NBA model, teams can put protections on first round picks being traded to ensure they don’t give up too much. For example, in the AFL, if GWS traded a top five-protected 2017 first round pick to St Kilda, GWS would retain the selection if it falls inside the top five and St Kilda would instead get the Giants’ 2018 first round pick. Introducing the idea into the AFL would no doubt complicate the trading process and would take getting used to for all parties, but there are benefits for teams at both ends of the spectrum. Sides who are on the brink of premiership contention could forfeit selections in future drafts to acquire experienced players who can help that side take the next step. Meanwhile, rebuilding sides can accumulate a stockpile of future draft picks to help speed up the rebuild or to use as trade chips to help lure a star through trade down the line. It is not a flawless system by any means, but compared to the basic system currently in use it presents an opportunity to free up player movement while providing a greater chance that every trade is fair for all involved. Matt Goss is a third-year Bachelor of Journalism (Sport) student at La Trobe University and is the Sport Editor for upstart. You can follow him on Twitter: @mattgoss_.